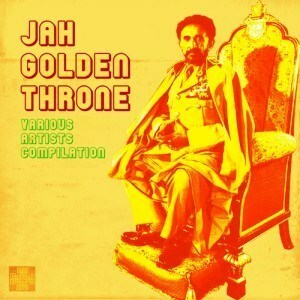 Jah Golden Throne is a various artist compilation delivering a rich, full-bodied survey of the best in contemporary roots from the most respected voices and rising stars in reggae such as Cornell Campbell, Jahdan Blakkamore, Lutan Fyah, Toussaint and more. Featuring artists old and new from across the reggae spectrum, Jah Golden Throne offers a seat at the reggae table where the roots of the music and the message stimulate heart, mind and soul.Exclaim! Magazine praises "the diversity of Jamaican musical culture, with strong doses of soul music and a touch of blues" featured across the album's 16 tracks. "Top notch material". And United Reggae noted, "Compilations are usually not as cohesive and solid as Jah Golden Throne, which makes this is a highly impressive album". Zion High Productions' Elliott Leib thanked the artists and A-Train Entertainment for the milestones reached by both albums. "It's a great honor to be selected among such company. Music is a journey and Zion High Productions is grateful to A-Train for being a part of our journey, one that has only just begun. We're looking forward to taking both Masterpiece and Jah Golden Throne all the way to the final round of nominations". And A-Train is going full speed ahead as well. "Congratulations to Zion High Productions, Glen Washington and the artists featured on Jah Golden Throne," saidA-Train CEO, Al Evers. "These are two very deserving albums and if it comes down to it, I wouldn't want to be the one to have to decide which one gets the final nod. Regardless, we are proud to play our part and encourage reggae and world music fans to support these artists."